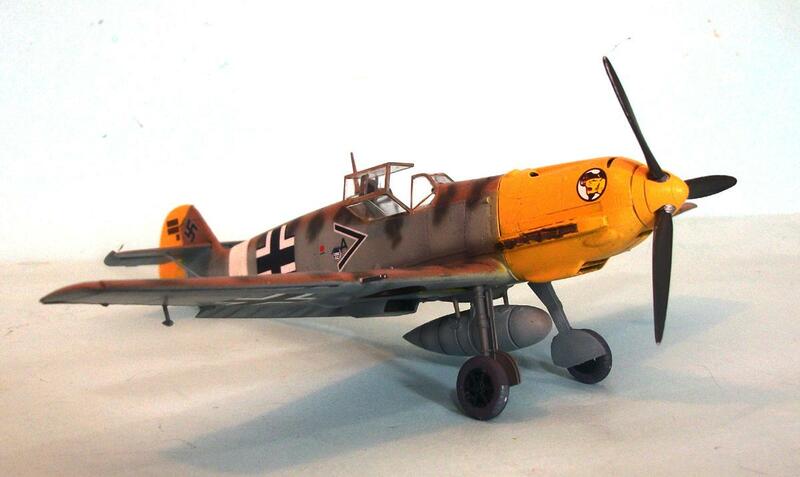 JG 27 was formed on October 1, 1939. The insignia of I/JG 27, the lion over the map of Africa, memorialized the birth of the Gruppenkommandeur, Hauptmann Helmut Riegel, in German Southwest Africa. After service in the Battle of France and the Battle of Britain, the Geschwader served briefly in the invasion of the Balkans. 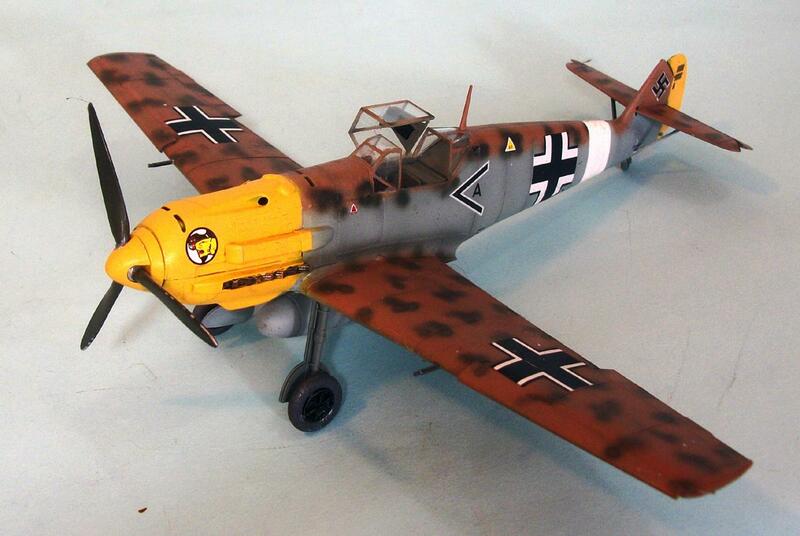 In April 1941, I/JG 27 was sent to Gazala, North Africa to support the Afrika Korps. 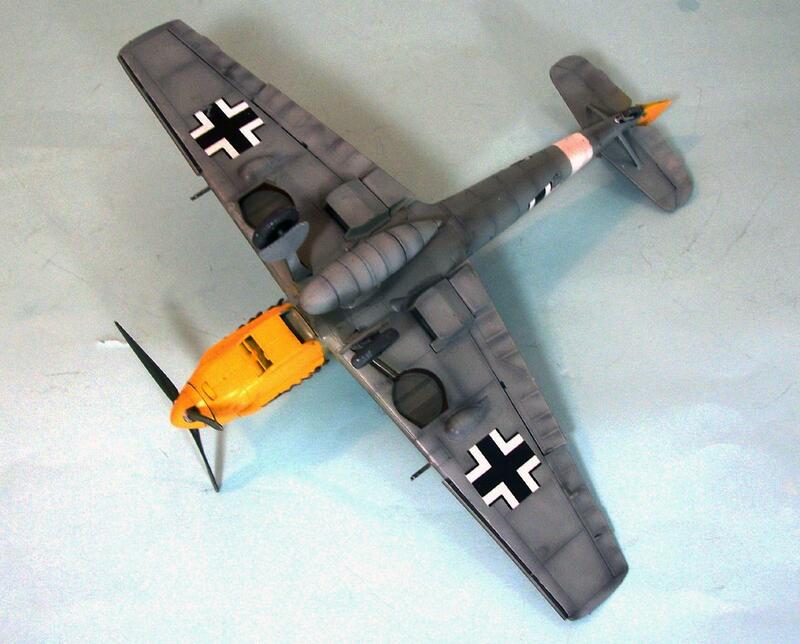 JG 27’s appearance in North Africa qualitiatively changed the air war. 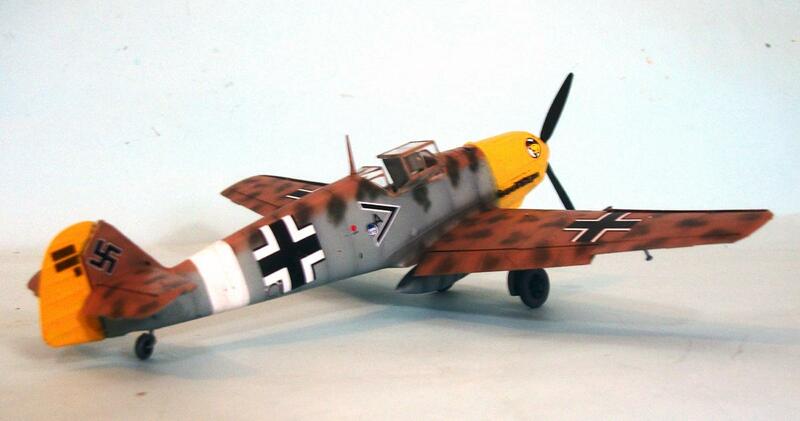 Under the astute command of Hauptmann “Edu” Neumann, one of the Luftwaffe’s most capable field commanders, I/JG 27 quickly improved its previous performance, with the Bf-109E-4 and Bf-109E-7 fighters proving superior to the Tomahawks and Hurricanes flown by the RAF’s Desert Air Force. 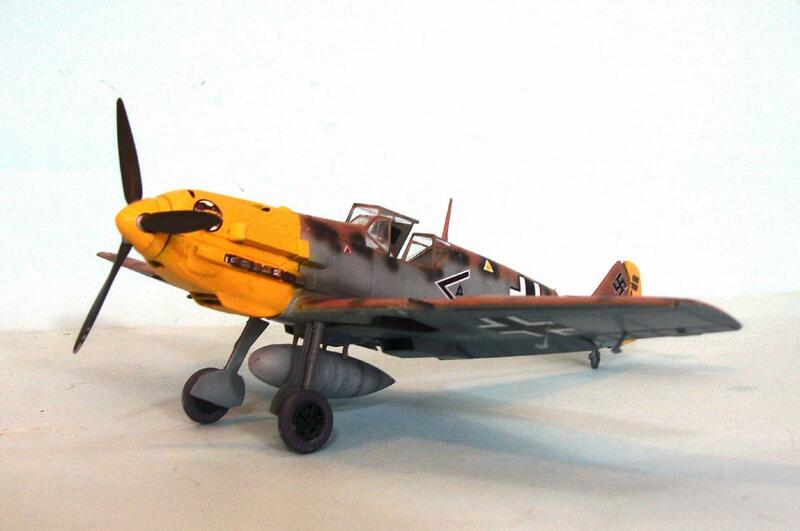 II/JG 27, under the command of Hauptmann Wolfgang Lippert, arrived in North Africa in September 1941, equipped with the Bf-109F-2/Trop, which gave added superiority to the Germans at the time the Supermarine Spitfire first began to appear in the Desert. 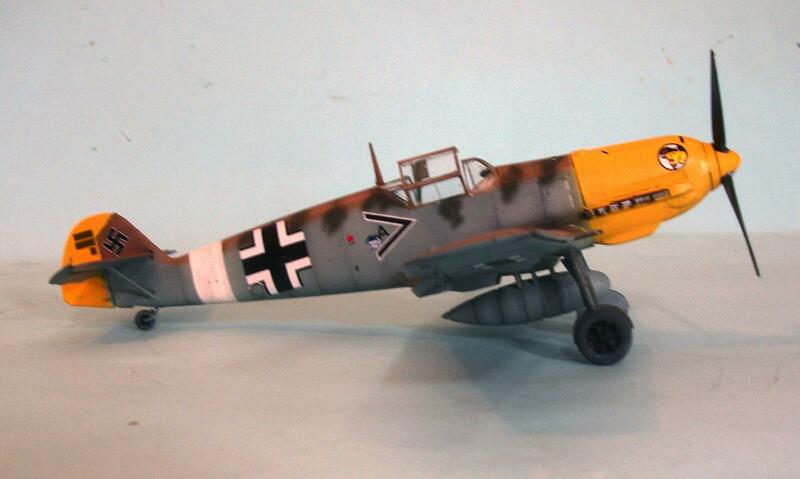 I/JG 27 was able to re-equip with the Friedrich that fall, and the day of the Emil in North Africa was ended. 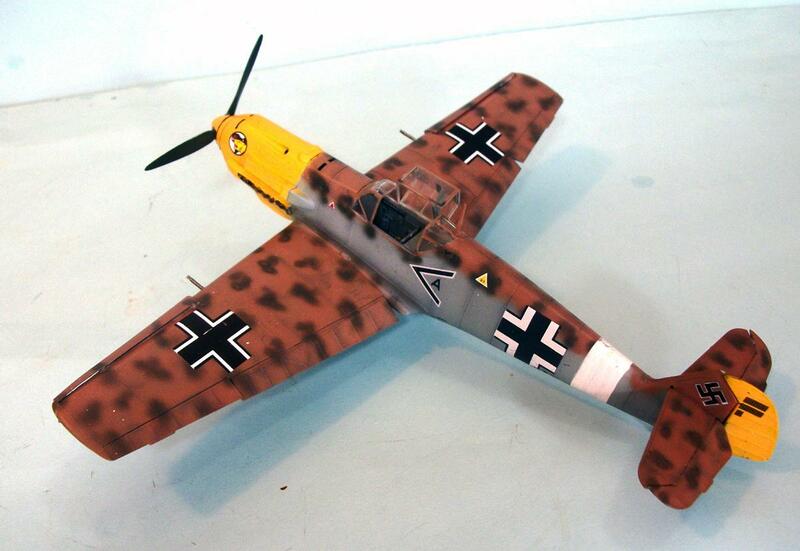 Several pilots in I/JG 27 had become aces, and the Gruppe had established qualitative air superiority over their more numerous opponents in the Desert Air Force. Very fine work Tom, especially the dotted pattern on the wings and dorsal! Werner Schroer when acting Adjutant of JG 27. I like everything about this one better (well….as much) as that previous build. 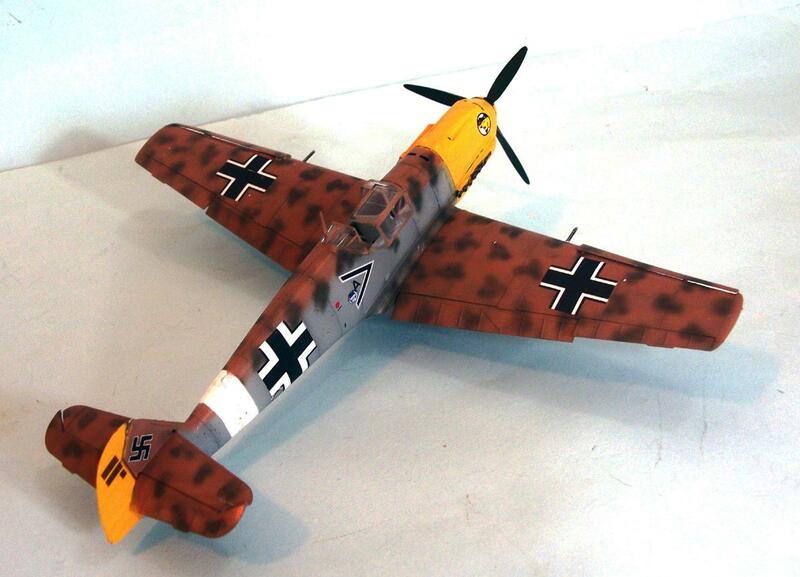 I love your 109! Great looking build. 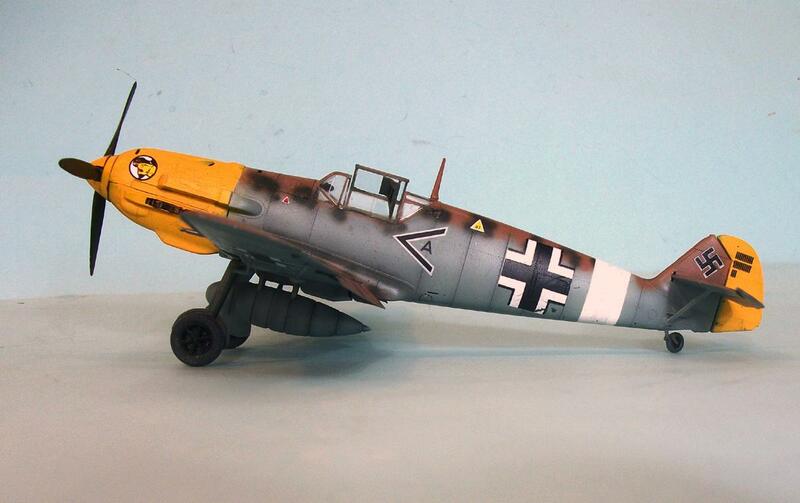 Fabulous build, Tom, and thanks for the 109 contribution to KP GB! I am planning to build a very similar build next, and you inspire me! 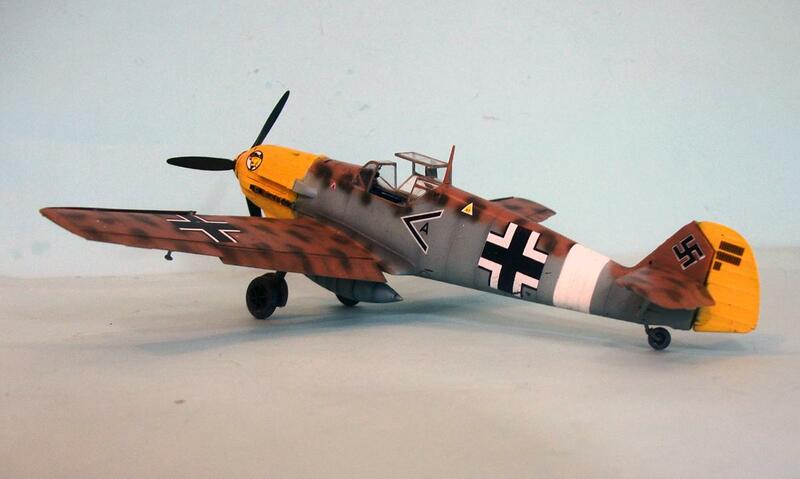 Another nice one – and that scheme is one of my favorite – got the blue sides, but with the desert splotches!